Paternity is something that most men hope to never have to deal with, but the fact is that if a man has a child with someone out of wedlock, or if that man suspects that his spouse had a child out of wedlock, paternity becomes a very real and immediate concern. If you are forced to deal with a paternity case, it is important that you understand the laws, rules, and methods used to defend paternity in your state. Though laws vary from state to state, there are general rules that guide the establishment and disestablishment of paternity. For instance, in most states, paternity is presumed automatic when the child is either born during a marriage or when a child is born prior to a union but the two parties eventually marry, thereby binding the child to both parties. A wife was unfaithful during the marriage and the husband wishes to disestablish paternity of a while whom he does not believe is his. A child is born out of wedlock, the mother won't let the father see the child, and the father wishes to obtain parental rights. A father wishes to establish paternal rights before the final dissolution of the marriage is complete. Bear in mind that no matter why you want to bring forth a claim of establishment or disestablishment of paternity, you, the father, always gets the first and final say. For instance, if your wife gave birth to a child that is not yours during your marriage, you can bring up the issue of disestablishment. However, if she were to bring forth the issue, her case would likely be dismissed. Though uncommon, it is not unheard of for a woman to give birth to her ex-husband's child post-divorce. This may happen if the divorce was quick (as in, finalized in three to six months) or if the parties continued to have relations during the divorce proceedings. When this happens, it poses an entirely unique situation. On the one hand, the child was conceived during the marriage which would mean, for all intents and purposes, that the child is the husband's. On the other, because the child is likely to be born post-divorce, the father would need to register for the child's birth with the mother or obtain an acknowledgment agreement from the mother or the court. If the mother is unwilling to cooperate, the judge may order a DNA test. If paternity is established post-divorce, the parties would then need to go back to court to establish child support. The same goes for if paternity is disestablished post-divorce—the parties would have to go back to court and dissolve or reassign child support. Cordell Cordell has experience with the establishment and disestablishment of paternity as well as with the modification of child support orders. If paternity ever becomes an issue for you, know that you are not without options. 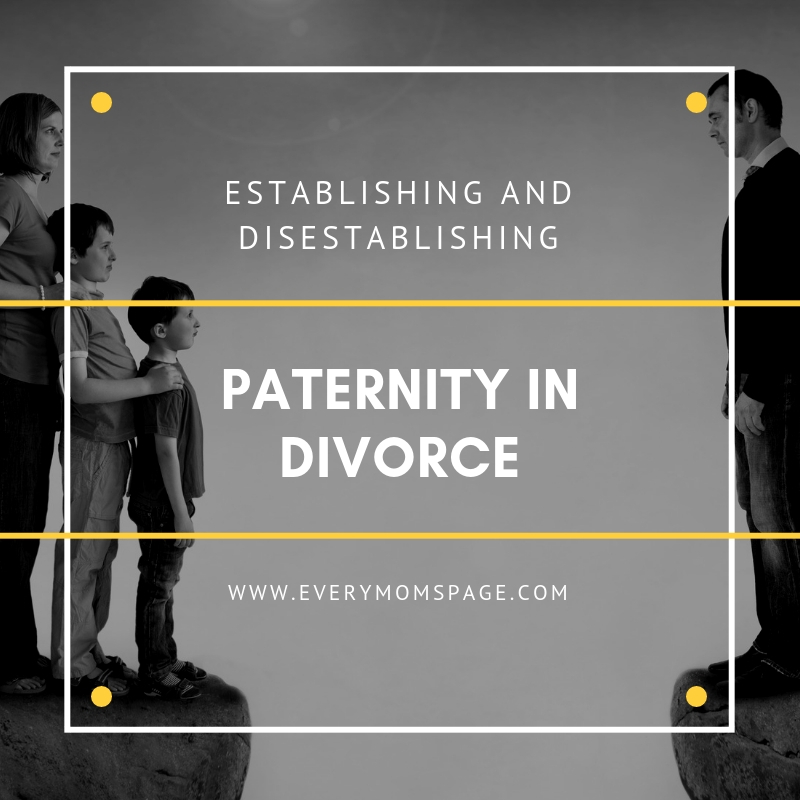 Though the establishment or disestablishment of paternity is bound to be a headache with which you do not want to deal, it is necessary for both your peace of mind and the child's well-being. An experienced father's rights lawyer can help you with the process and to obtain a favorable outcome.